The ESIC Kamgar Hospital in Mumbai cut back compensation for a couple whose prematurely born baby died on 21 December, four days after fire engulfed the government-run facility on 17 December. The baby girl, who was born in the 39th week, was undergoing treatment at the newborn intensive care unit of the Marol hospital when the fire broke out. However, her parents were denied the full compensation of Rs 10 lakh by the hospital, with officials claiming that the infant was critical and her death may have been natural, reports The Times of India. Soon after report about the ESIC payout went viral on social media, BJP MP Kirit Somaiya tweeted saying the family will be paid a compensation of Rs 8 lakh. 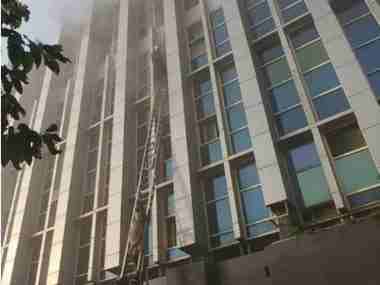 The toll in the Mumbai hospital fire rose to 11 with the baby dying in the neonatal intensive care unit of the Holy Spirit Hospital. The girl's mother, Lalita Logavi, had delivered twins through Caesarean section – a boy and a girl – on 14 December. The infants were born after an in-vitro fertilisation procedure, reports The Indian Express. This was the couple's first pregnancy. While the boy was healthier, the girl weighed over 650 grams at birth and was admitted to the facility's intensive care unit on the hospital's fourth floor. She was among the five babies that suffered injuries when the fire broke out. The Virar-based couple was earlier handed a cheque of Rs 2 lakh, the amount meant for the seriously injured at an event organised by the ESIC at Panchdeep Bhavan. 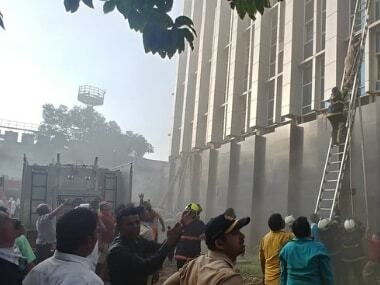 Lalita had earlier said how the crucial 45-60 minutes that the baby had spent after being snapped away from the ventilator after the fire and during her transfer to Holy Spirit Hospital stacked the odds against her. "She got oxygen support in the ambulance. But who is to say that the smoke inhalation combined with the interruption in ventilatory support didn't kill her?" she was quoted as saying by The Times of India. The staff of the ESIC hospital had staged a protest against the hospital administration soon after the incident. They had alleged inadequate facilities at the hospital. The agitation had come amid reports that the hospital failed a fire safety check only a fortnight before the deadly incident. NDTV had reported how the fire department found out that the sprinkle and detection system were not up to the mark. The facility had also stored inflammable material on the ground floor, without proper safety arrangements.